Here is a list of some of the items that I have enjoyed immensely over the past few months. Hopefully, you will enjoy them too. The Curator has certainly upped its game in the past few months. 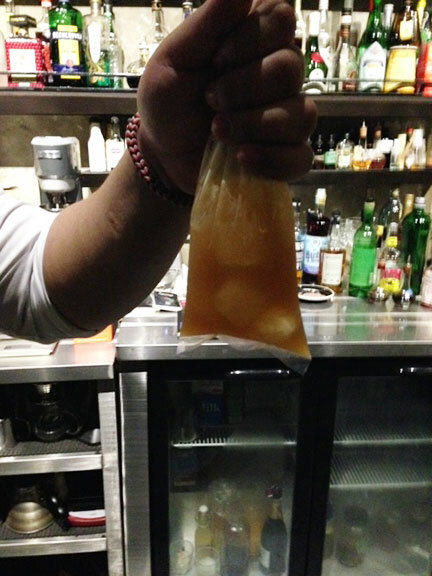 In line with bartender Yoma Rivera’s inclusion in the Diageo World Class Bartending Championships, he created Tamarind; a refreshing concoction that contains Singleton Whisky, Tamarind Water, Burnt Sugar Tincture and Honey. It is served in a plastic bag ala sari-sari store that harkens back to Yoma’s (and mine) youth. I find that Juan Carlos de Terry’s version of Gambas Al Ajillo is excellent in its simplicity. He just uses the freshest shrimp, high quality Olive Oil and lots of garlic. The result will have you wanting more and more. What is not to like? 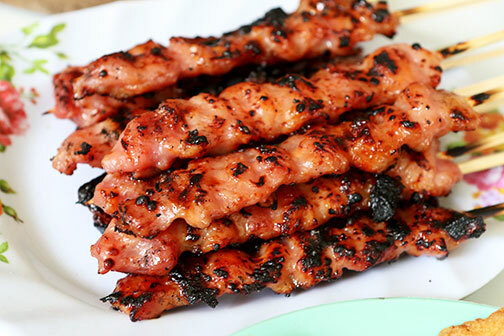 Skewered tocino pieces grilled over charcoal and served with garlic rice and vinegar. The result: A sweet and smoky explosion that you will repetitiously want to happen. Trips to the Araneta Coliseum have been doubly sweet recently. Aside from watching our beloved Green Archers UAAP basketball team, we make sure to pass by Big Daddy Jay’s for a quick bite before the game. 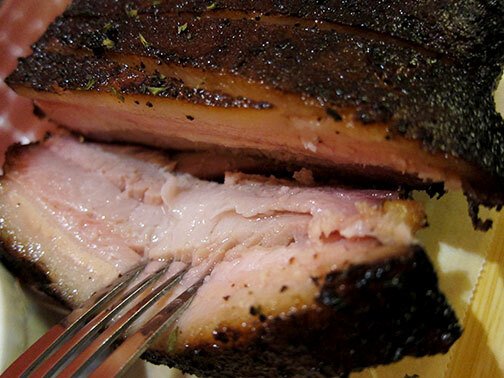 Our favorite has always been their home-smoked, slow-cooked Original Ribs. It is fall of the bone tender and its flavor is good enough as is. Of course, for those who want some barbecue sauce like me, a homemade version adds another sweet and spicy dimension. I am hoping that the owners would serve a baby back variant soon. In the meantime, checkout Anonymous Paul’s post here for a more detailed experience. Tostaditas are bite sized crisp corn shells topped with chicken or steak seasoned with Mexican spices and a green salsa. Optional heat may be had when A’Toda Madre’s fiery Red Salsa is added. 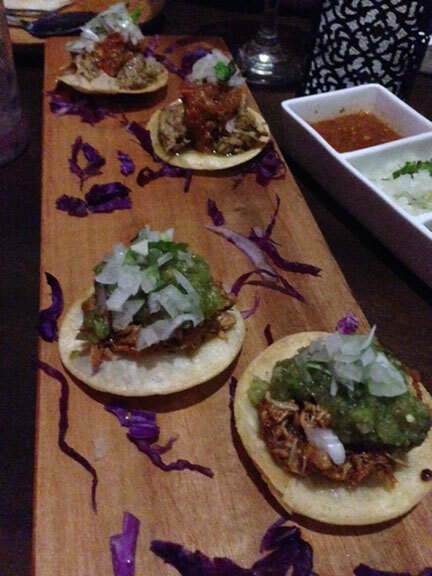 Tostaditas are a perfect compliment to a margarita or smooth sipping tequila. The only niggling problem that I have is that I tend to eat too many of these little bites that the goddess Edesia might welcome me into her fold. The Riedel Room is located on the 2nd floor of the Elbert’s Steak Room complex along Salcedo Village. It consists of a private dining room area plus a bar area as well, where one can smoke cigars and have a libation or two. 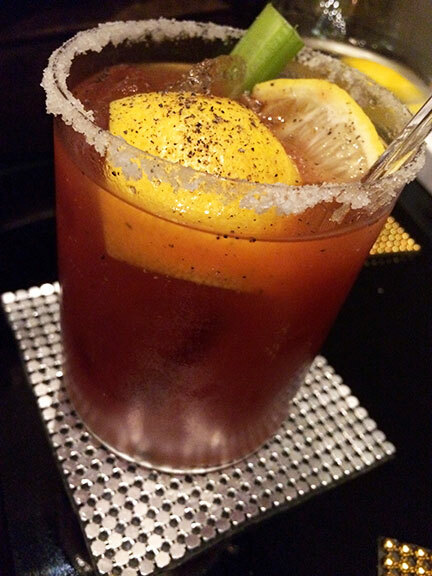 Their Bloody Mary has been a revelation of sorts to me at least since it contains Clamato, something that I was never fond of. However, I like this version a lot, enough to say that it is one of the best ones that I have had recently. It even pairs quite well with certain cigars. 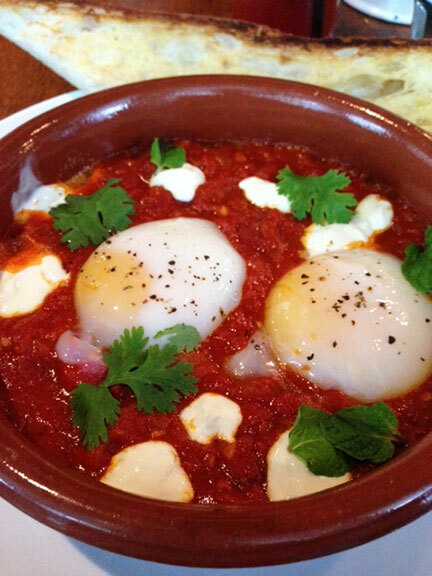 Perfectly baked eggs, fresh tomatoes, peppers, Harissa and little dollops of Labneh served with a crusty bread that calls out: Dunk Me! Dunk Me! I'm loving all the choices on your list. We ate at Mila's last year, and did not know about that tocino barbecue. Apparently, my husband was telling me to order but I was so focused on the sisig and chicharon that I didn't even consider. His friend supposedly downed 12 sticks of those things. Hi Mandy, Yes those little sticks of tocino can be addicting. Next time you're at Mila's make sure you try some. Thanks for stopping by.